I love reading new books by indie authors and there is an author that I’ve been checking out after I’ve read his first book on Amazon, “Omega Zero”. This author is Ryan Henry and his first book was something you don’t often see from indies – a well-written thriller with lots of unexpected twists. And now his second Kindle book, Betrayal On Triton, is out. 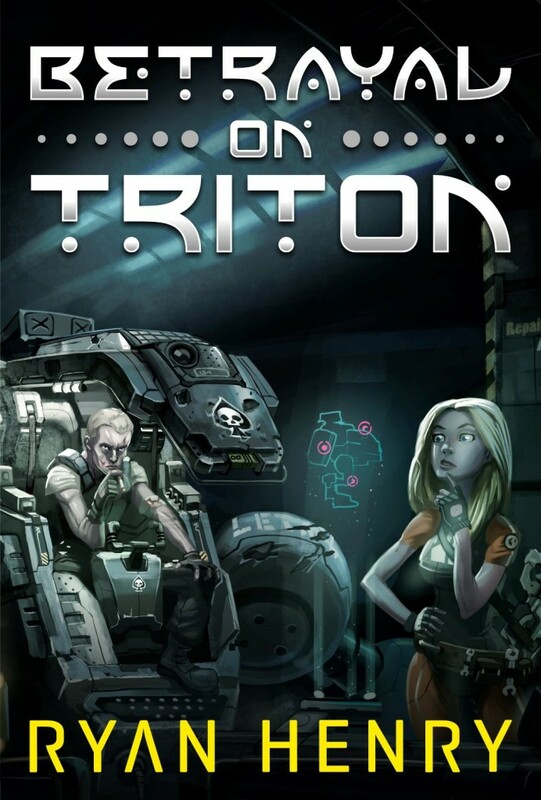 Betrayal On Triton is Sci-Fi at its best. Naturally, the action takes place off the Earth and there is lots of Space-related stuff. Plus you get a loyal female android who actually has feelings. But I won’t bore you by retelling the plot – you’ll have to read the book and enjoy it without me summarizing it. I want to share with you my impressions instead. The book is very fast-paced, but not to the point where the reader loses the plot line. It’s action, more action, and then some more of it. Reading Betrayal On Triton was like watching a movie and seeing the characters develop. I had images flashing through my mind and if I could draw, I would have drawn every single character. Riley, Tori, Chang, Kirov – they are so vivid that you almost believe that they exist for real. Ryan’s characters live and that’s what’s the most important in good literature. Plus the book is filled with interesting twists, so you definitely won’t be bored. I couldn’t put it down when I was reading it! Betrayal On Triton is available on Amazon and it costs only 99c. It will be a dollar well spent, I’m telling you.